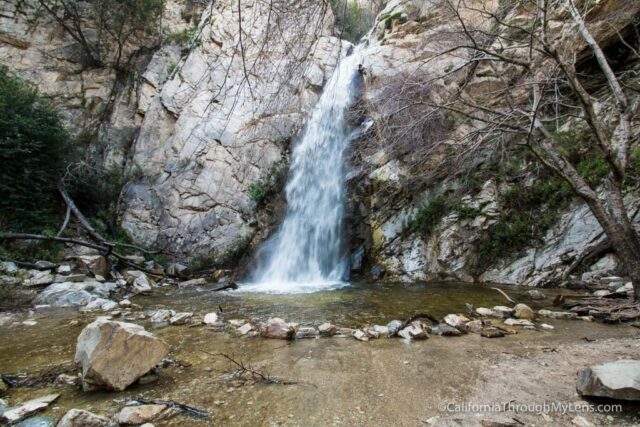 The Sturtevant Falls hike is one of the easiest and most rewarding hikes you can do in the Los Angeles area. 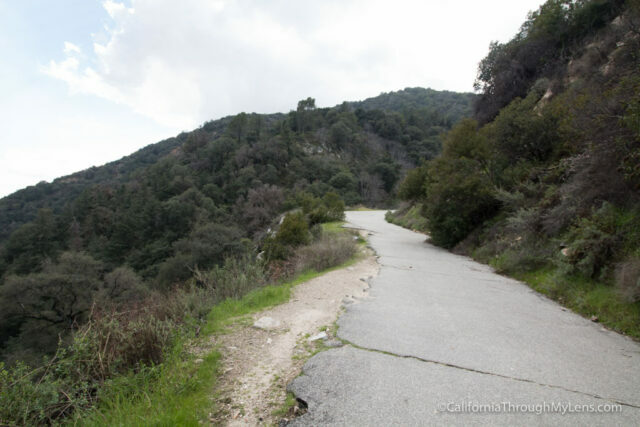 Now while it does have a steep decline during the first half mile, which turns into a steep incline for the last half mile when you are hiking back, the trail is only around 3.6 miles round trip and is suitable for most people to do with ease. 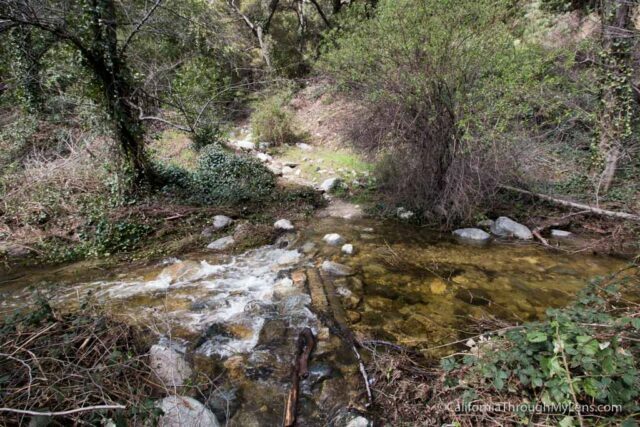 The trail is located in Big Santa Anita Canyon in the San Gabriels Mountains and is only about 10-15 minutes off the 210 freeway. Read on for the full walkthrough and photos. 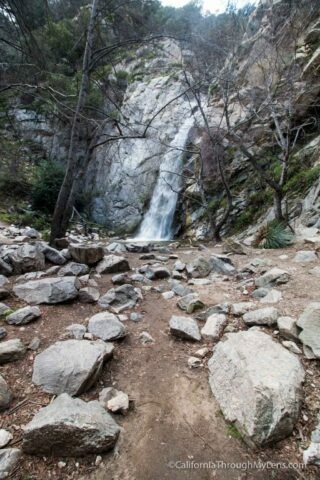 Here is a video I made of the trail, including Hermit Falls. By far the most difficult thing you encounter on this hike is finding parking. I have been here multiple times, and each time the lot has been full. 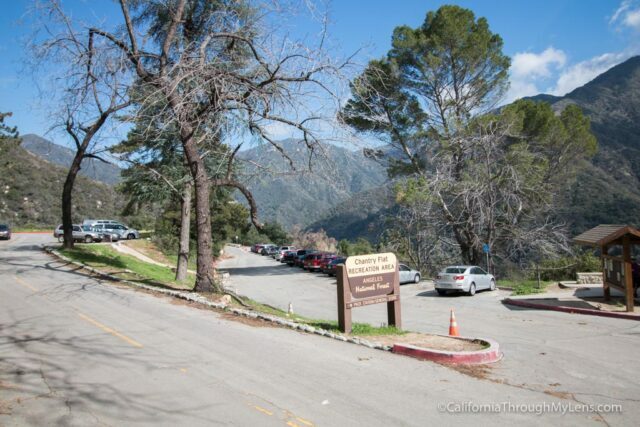 On the weekends the parking can be backed up a half mile down the road, so you will want to find a place to pull out and park then walk to the trailhead. Make sure you take this into consideration when you are preparing for this hike and arrive early or go on a weekday. Also remember that if you are not able to park in the main lot (chances are good that you won’t) or the 10 dollar lot above it, then you will need to make sure you have your adventure pass on display for the parking along the road. I have seen many people get tickets, so don’t forget your pass. 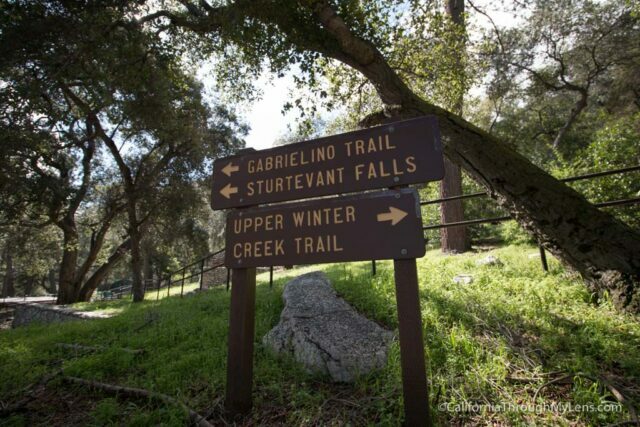 The trail starts right at the sign for Chantry Flats, past the gate, and immediately begins its steep decline. Just remember when you are walking down this that you will have to walk back up here at the end of the hike, so if it seems like too much, then it may not be worth continuing. 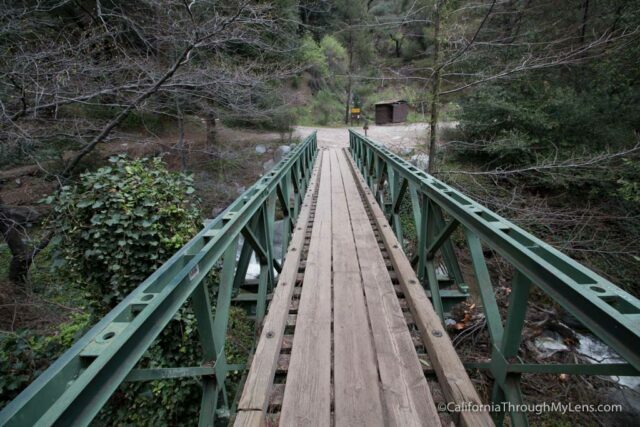 When you make it to the bottom, you are greeted with a small bridge that you will cross and a sign that lets you know the waterfall is 1.25 miles from here. 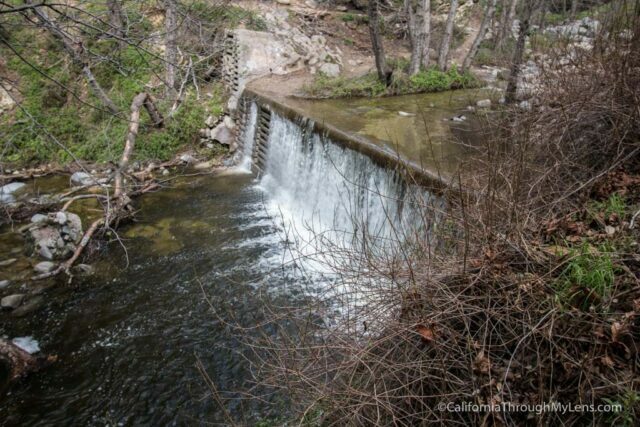 You will also start to see a few of the man-made waterfalls that they have on this trail. These are pretty awesome to see when the water is running as it cascades over them in impressive fashion. This path is shaded for the rest of the way and it provides a peaceful and incredibly beautiful path along the stream. The trail continues through the light forest area until it meets with a small community of houses. I was told these cabins are privately owned, and people live there on a seasonal basis. They are cool, and there are about 15 of them along the trail. 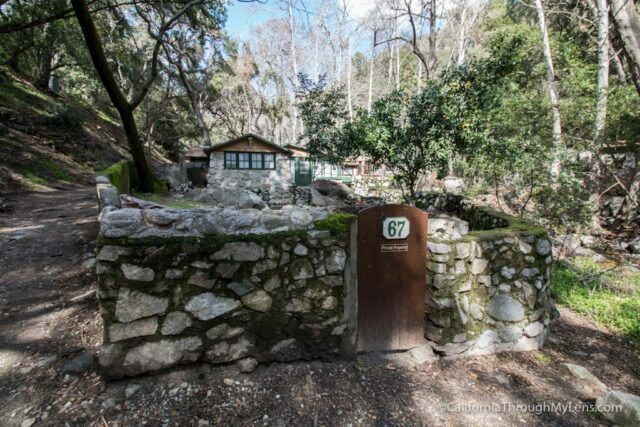 Some even have little walkways, as well as outhouses and outdoor furniture. If you continue to follow the path you will make it to a water crossing. 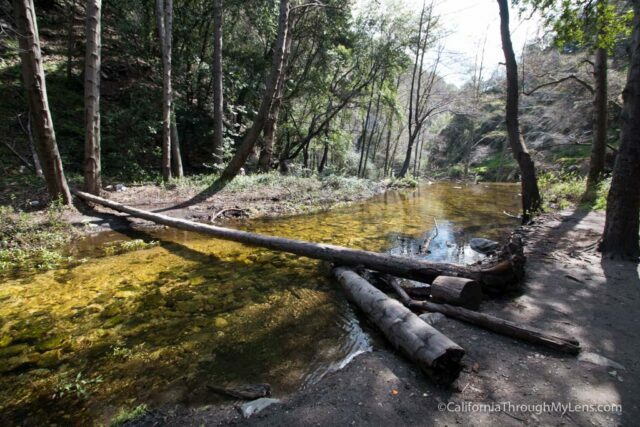 While not much of a crossing there is a piece of wood and rocks that will keep your feet from getting wet. After that you head up the trail for the last quarter of a mile before hitting the waterfall. 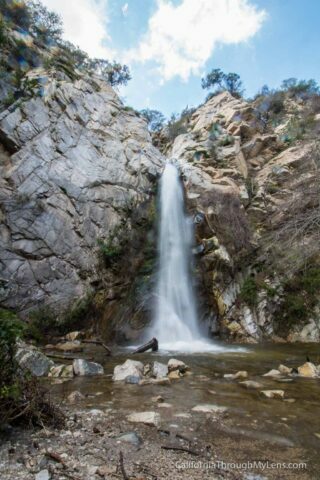 Once you finally see Sturtevant Falls, you realize how tall and how beautiful it really is. The falls are probably every bit of 75 feet tall, and there are always at least a couple people there enjoying them at the base. I imagine that during the summer this place is probably teaming with visitors even though there is not a lot of water. The photos in the post are from 2017, when we had a truly great year of rain, so that is why the water was rushing so much. I would highly recommend this hike if you live in the area. It is such a nice escape from city life and provides a good workout that almost anyone should be able to handle. Take your time and plan for a couple hours as you will want to enjoy all of the beautiful scenery and hang out at the falls. 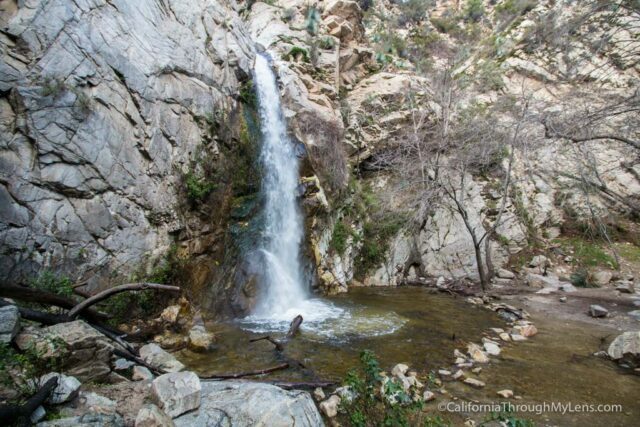 If you want to make it a longer hike you can also head to Hermit Falls which is down stream and which is another nice waterfall in the area. 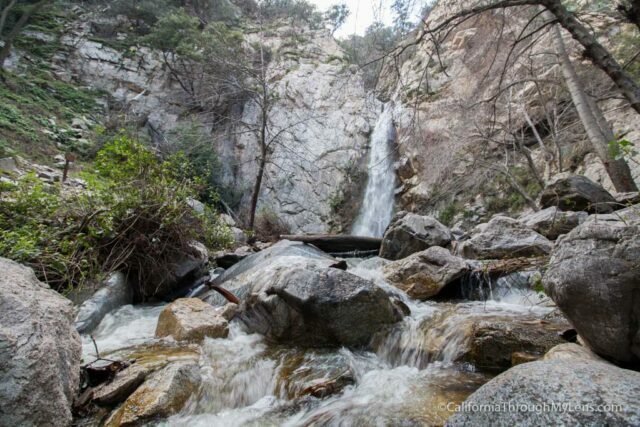 Let me know if you have hiked this in the comments and what you thought.